When a family has a loved one with a mental health diagnosis caught between the justice and mental health systems they need support to help navigate these two complicated systems to ensure their loved one does not fall through the cracks. Rose has a twenty-five year old son currently in an upstate county jail waiting for sentencing. Rose reached out to MHANYS after calling twelve other community resources and two state agencies for assistance. Rose explained that her son was diagnosed at the age of fifteen with bipolar disorder, and he had recently attempted suicide inside the county jail. She gave background information about his illness and stated that upon intake at the jail, his medications had been changed. She called the jail numerous times trying to speak with the part-time mental health clinician. Rose was overwhelmed with worry about her son and needed someone to intervene. Rose went on to explain how unfortunate this all is because she tried to provide some history about her son’s three hospitalizations to the attorney assigned to his case. Rose told the court that her son will not survive incarceration because he needs treatment. So when she went to visit her son and found out that he was in isolation due to a suicide attempt – she tried to get to the bottom of things and realized she needed help. Rose had information that saved her son’s life but she needed help getting through the bureaucratic barriers. Rose contacted MHANYS. Listening to Rose carefully lead to gathering names and numbers of the professionals she had reached out to for answers. MHANYS called these numbers to advocate for Rose and her son. It involved speaking directly with the County Sherriff and inquiring about protocol for suicidal attempts and policies around providing families information when a suicidal attempt is made. That led to speaking directly with the part-time clinician at the jail about the implications involved when medications are changed and why a medical exam may be necessary to address the withdrawal symptoms. Speaking to the clinician involved releases that needed to be signed and faxed to the jail. Once a medical exam was suggested, Rose’s son saw a physician and was treated for a kidney infection and placed back on his original medication for his bipolar disorder. Rose was referred to a support group and provided information on WRAP (wellness & recovery action plan) applicable for both of them. A letter was drafted up and sent to the Sheriff thanking him and his staff for being of assistance to Rose. MHANYS is here to help. 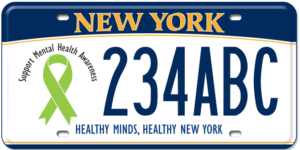 Contact us Monday – Friday; 9am through 5pm at (800) 766-6177 [outside NYS: Call (518) 434-0439] or infocenter@mhanys.org. Read more stories of Hope and Recovery at National Suicide Prevention Lifeline.